The number-one selling type of car in the world is the family car. It makes sense. Everyone has a family of some kind or another. Of course, everyone’s biggest concern with family is for their safety and well-being. Just because you’re buying from the used lot doesn’t mean you want the vehicle’s safety standards to decrease. The most important thing to remember with that is to always check and make sure the vehicle has no accident history. Once a vehicle has been in an accident, it’s never the same again. However, reputation plays a big role as well. That’s why we’re here: to give you the up-and-up on what the experts at Consumer Reports, the IIHS, the NHTSA, and J.D. Power & Associates have dubbed the safest used family cars. According to the IIHS and the NHTSA, you can’t get a much safer family car in these model years than the Kia Sedona. It received the highest possible rating of “Good” from the IIHS in all frontal offset and side-impact crash tests. The NHTSA gave it five stars in front and side impact crashes, and four stars for rollover protection, which is normal for the SUV line. Standard accident avoidance features include anti-lock brakes with brake assist, electronic stability and traction control, as well as a tire-pressure monitoring system. According to automotive experts, Honda’s line has been steadily decreasing in quality and reliability for some time now. That hasn’t stopped it from earning a near-perfect score of 9.9 out of 10 in safety from U.S. News, based on rankings from both the IIHS and the NHTSA. The Pilot may not be at the top of the list for performance standards, but it still makes a darn fine family vehicle, possessing some of Honda’s best features in terms of family practicality. 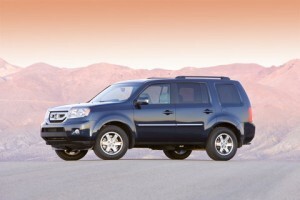 The 2010 model year saw a refresh that increased both interior room and maximum cargo capacity. 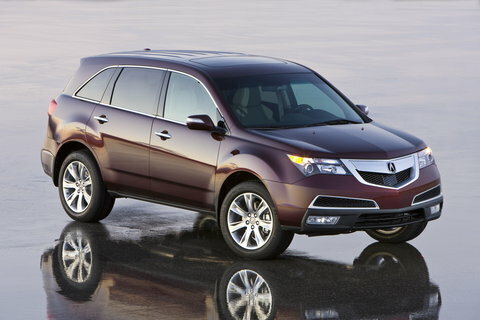 By all standards, Acura is a luxury brand name. That being said, it shouldn’t come as much surprise that it houses some of the best safety standards of any family vehicle on the road. If you can find one for a decent price, you can rest assured that your family is riding in an IIHS Top Safety pick, and a vehicle that garnered 9 out of 10 stars in safety standards. The Collision Mitigation Braking System is a new safety feature that is working well so far, and it would be a very nice pick-up if you happen to find one equipped with it on the used lot. “Like the rest of Hyundai’s lineup, it’s a good value.” (Car and Driver) That about sums it up concerning the quality standards of the Santa Fe and the safety standards aren’t far behind. Equipped standard with Electronic Stability Control, Traction Control System, a four-wheel anti-lock braking system with Electronic Brake-force Distribution and Brake assist, advanced dual front airbags, front seat-mounted side-impact airbags, and roof-mounted side-curtain airbags with rollover sensors, the Santa Fe keeps its passengers nestled in a blanket of safety. The rearview camera package was optional in most of these model years, so don’t expect all models to have it, but it’s a nice option if you can find it. The Taurus remains the one model left that can truly define what a full-size American-made sedan should be. 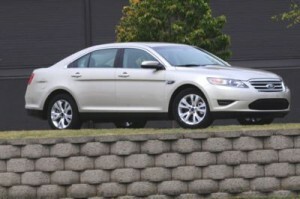 “Ford’s revamped Taurus has a lot going for it. This large sedan is smooth, quiet, refined, and is surprisingly engaging to drive…Overall, this is a fine vehicle from America’s blue oval brand.” (Consumer Reports) In terms of safety, it doesn’t get much better. 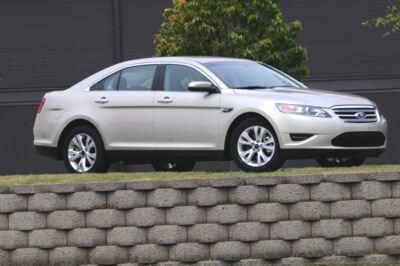 Based on the IIHS and NHTSA crash tests, U.S. News rated the Taurus a 9.9 out of 10 for overall safety. It has been a steady award winner of the IIHS Top Safety pick.